We are a privately held technical support provider offering a committed performance for Web Hosting Companies or a Small/Medium-sized businesses. We work closely with our clients in the development of long-term support solution strategies that are practical, sustainable and then clearly deliver a return on investment. We know what it means to be an outsourcing partner & that is why, we assign only an experienced team to partner you in sharing ideas to grow your hosting business. 24×7 support to your clients. 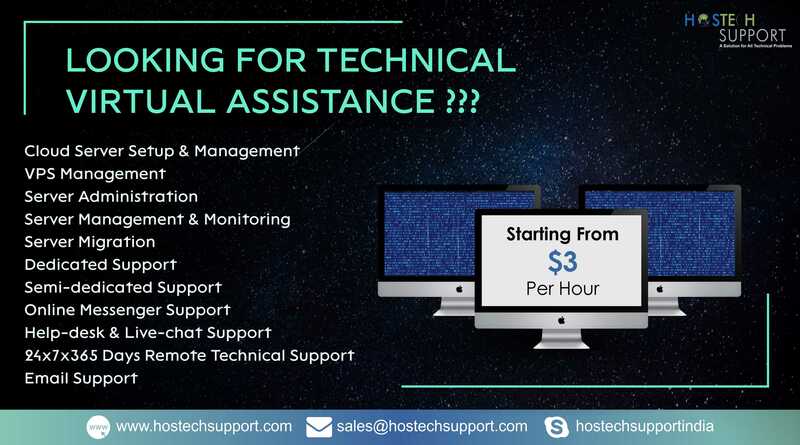 HostechSupport provides Quality Technical Support to Hosting companies and ISPs around the world. At HostechSupport, your customers get 24 hour Support from staff comprised of qualified and experienced team. We will help you save money, time and a lot of effort which can be profitably utilized to market your core services. We understand the in & out of the web hosting business processes. Thus we can relate to your support needs very well. We will work with you to understand about your specific business requirements and incorporate them into our support process. We are alert 24x7 for the support needs of our clients & guarantee 100% customer satisfaction. Our main objective is making technology work for people, and we have a clear vision of what we are and where we are heading to.